Sony has announced its first Ice Cream Sandwich phone, and the follow up to the Sony Ericsson Xperia Neo, in the form of the Sony Xperia Neo L.
Also known as the less fancy sounding MT25i, the Xperia Neo L will come packing a single-core 1GHz processor, 512MB of RAM, 1GB of internal storage, 4-inch (854 x 480) display and a 5MP camera with 720p video recording. 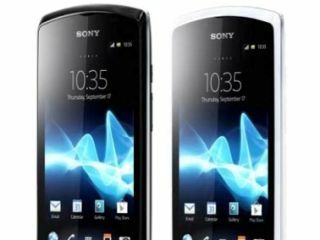 So far Sony has released the Xperia S, Xperia P and Xperia U handsets, which we were disappointed to find all ran Android Gingerbread 2.3 – with a promise of an upgrade to Ice Cream Sandwich later this year. The Xperia Neo L looks set to land solely in China for the time being, with no clear sign of if it will venture elsewhere in the world yet. If it does hit the UK we expect it to slide straight into the budget end of the market, with its less than impressive specs and slightly chunky, 12.2mm thick build. What this does signal however is Sony finally getting a handset running on Ice Cream Sandwich, which may mean an update for the likes of the Xperia S and co could be on its way soon.